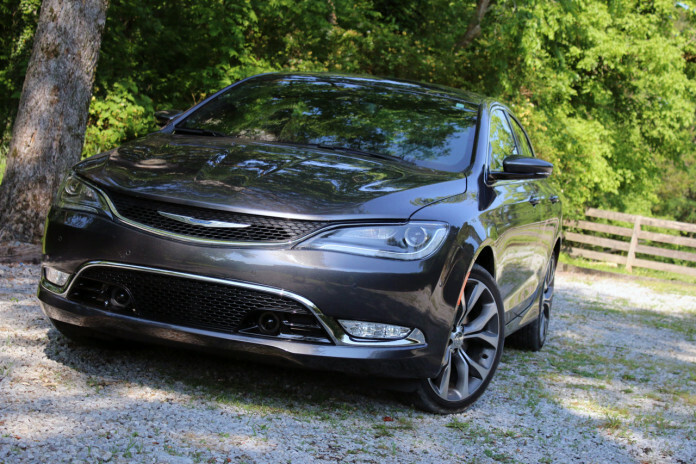 The Chrysler 200C is one of the best comeback stories of the recent automotive age. The replacement for the beleaguered Sebring, the new 200 promised to do away with the mediocrity, poor quality, and general rental-car status of its predecessor. New interior treatments, a refreshed design and a mighty, 300-horsepower V6 combined to create a competent machine that could hold its own against the industry stalwarts like Camry and Accord. But what happens if you take that same new car, packed full of luxury options, but you skip the powerful new V6, instead opting for the rental-spec four-cylinder? 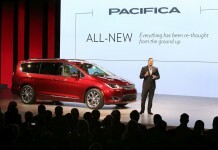 Does the 200 still compete against the big names in the segment? I snagged the keys to a fully kitted out 200C, complete with leather, nav, and huge 19-inch wheels but with a four-banger hiding under the hood. The results were less than impressive. Visually, our 200C tester looks identical to any other 200C on the road. With the exception of the exhaust, there is no way to distinguish a four-cylinder from a V6 visually. 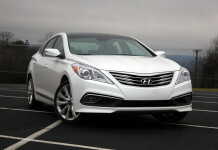 You have the same swooped nose with its elegant headlights, sculpted hood, and various bits of chrome trim. 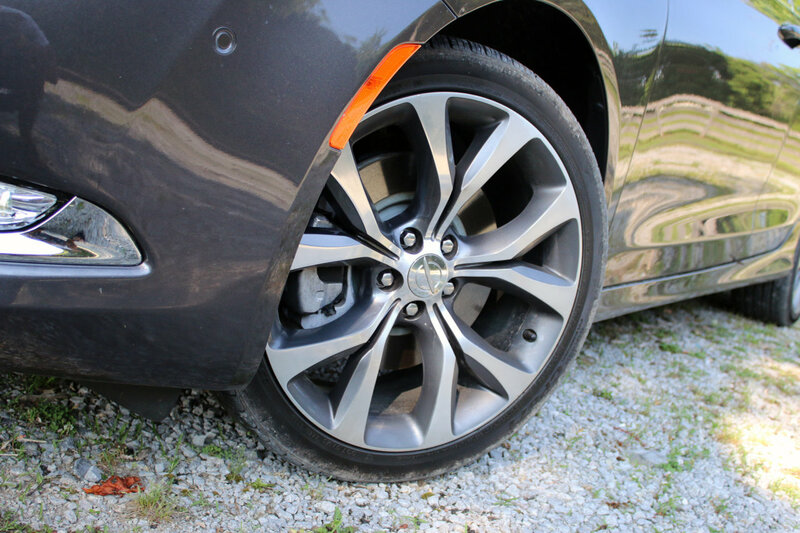 The Granite Crystal Metallic gray paint on our tester is handsome and modern, while maintaining a discreet look, and the optional 19-inch wheels look great. The 200C is not pretty from every angle, but overall I find it attractive and interesting in a way only American auto makers seem to manage. The story is the same inside. It is well designed, interesting, and the quality is high enough. There are a few points where you will find less than exemplary fit and finish, and some of the materials used inside are cheaper than they should be, but the overall experience is pleasurable. And at a simple glance, the cabin is actually quite striking. Our tester was equipped with the Black and Deep Mocha two-tone interior options, and the photos should speak for themselves. The soft brown of the seats and door panel accents match perfectly with the dark surfaces elsewhere to create an interior that feels very masculine and classic. Like a sharp pair of handmade shoes coupled with a clean cut suit. 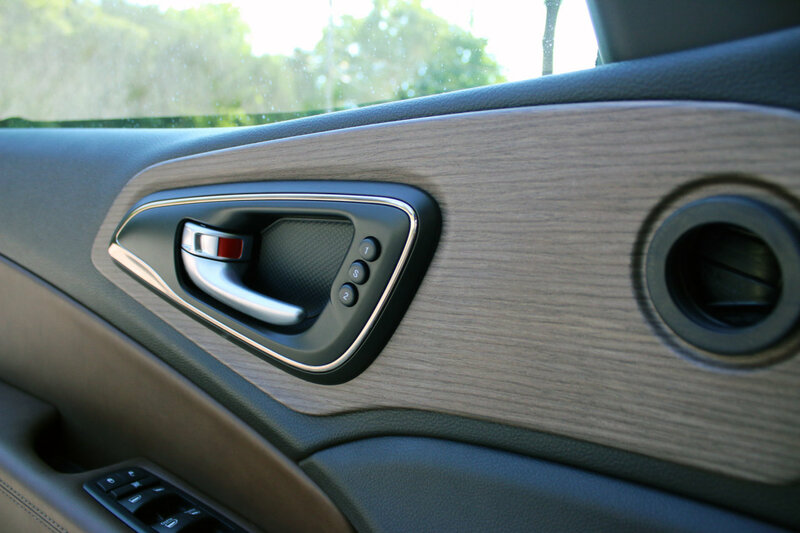 The wood veneers on the doors are a nice touch, but the fact that they end early at the edge, leaving the plastic backing underneath exposed feels like a cheap way to cut corners in an interior that otherwise feels more upscale. 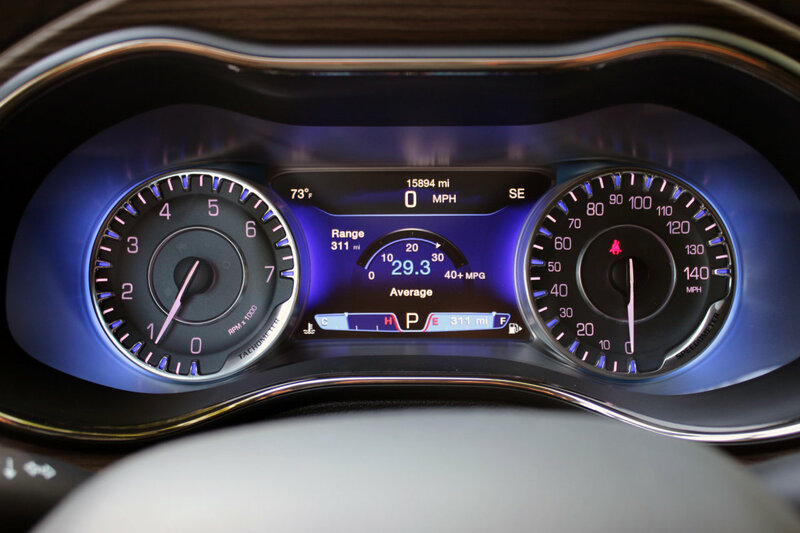 On the technology front you will find Chrysler’s UConnect 8.4 infotainment system, complete with that massive 8-inch screen in the dash. 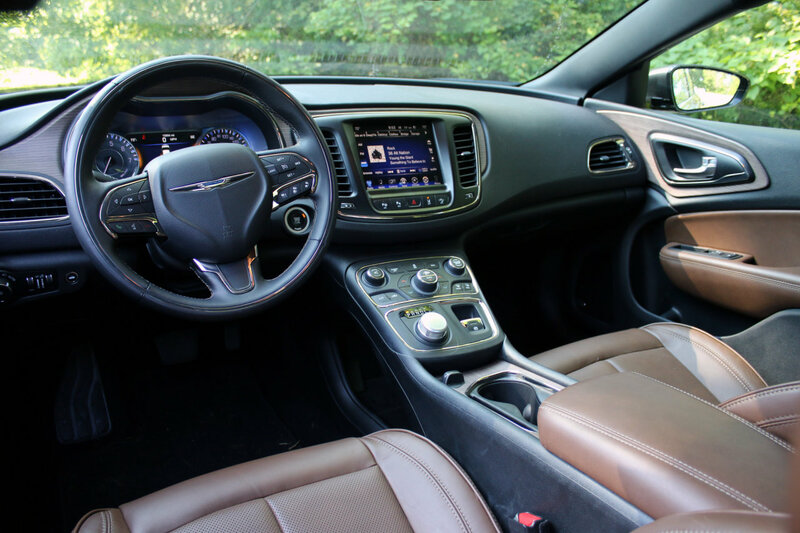 Our car was upgraded with the Nav and Sound package, providing full navigation capability, SiriusXM radio and Travel Link, a nine-speaker Alpine stereo unit, and a 500-watt Alpine amp to power it all. But then we hit that elephant in the room. 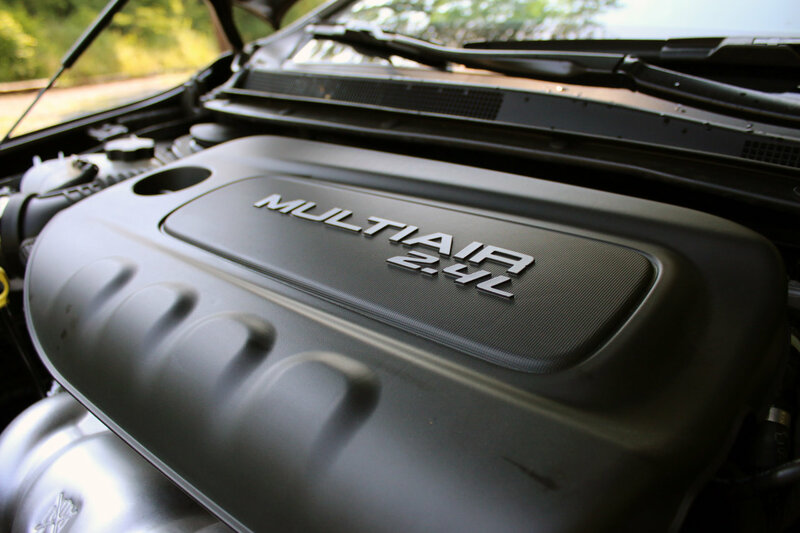 Under the hood of this particular Chrysler 200C is a MultiAir 2.4-liter four-cylinder engine from Fiat. With 184 horsepower and 173 lb-ft of torque on tap, this little motor is nearly identical in output to the base four-bangers in the Camry, Fusion, and Altima. Except the 200 is the heaviest of the bunch, by more than 200 pounds in some cases. That means that the 200C is one of the worst performing. And things only get worse from there. The handling dynamics, steering, brakes, and nine-speed automatic transmission of the 200C are all mediocre at best, and the sluggish performance of the four-cylinder exacerbates these issues. The quicker you try to drive the 200C, the more frustrating it becomes. 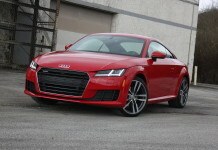 The car is too wayward in the turns, the steering has no feel, and the lack of power from the engine leaves the nine-speed constantly hunting for gears. The V6 on the other hand is so good, that none of these problems really seem to matter. The thick powerband of the V6 means the transmission spends less time swapping cogs, and the speed provided by that motor means you don’t need handling prowess; you just treat the car like a point-and-shoot machine. Slow down, ease through the corner, rocket out the other side. Where the four-cylinder should make sense is in the pricing and fuel economy departments, but the news isn’t much better there. 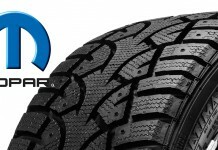 Our test came with an as-tested price of $33,540. TO add the V6 into this machine would add an extra $1,995. A massive price increase of five-percent, or less than the cost of taxes in most states. 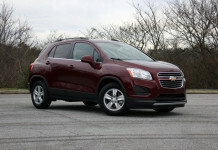 On the fuel economy front, the four-cylinder looks much better on paper than the V6. The 23 city, 36 highway ratings blow the V6’s paltry 19/32 rating. In practice however, I managed to average around 28 mpg in the V6, while my time with the four-cylinder ended around the 29.5 mark. I’ll take the 120 extra horsepower over the 1.5 mpg, thank you very much. In the land of fallen automotive nameplates, the Chrysler Sebring stands out as a glaring example of how a beloved nameplate can be squandered and destroyed by mediocre product. 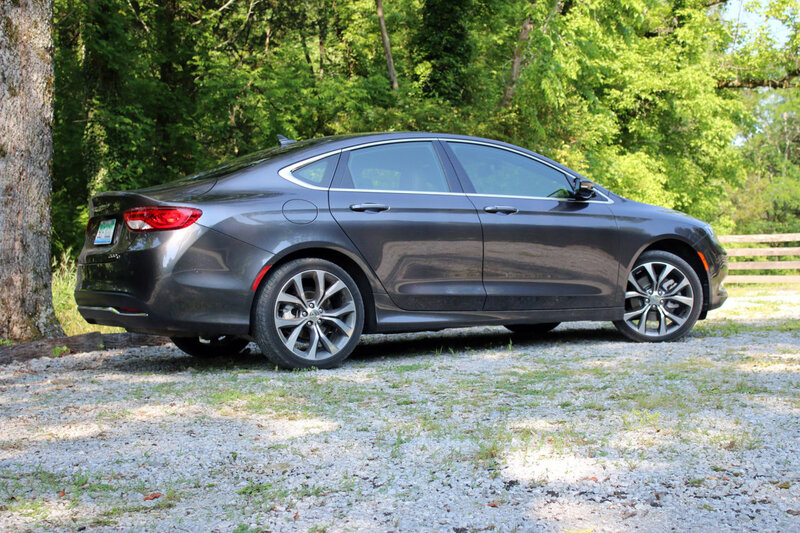 The Chrysler 200 is a solid competitor in the class, when it has the right equipment, but this four-cylinder model is more like the car it was designed to replace. The Pentastar V6 engine completely changes the feel and character of this machine. When you are already staring down a $33,000 MSRP, there is no reason you should skip the $2k V6 engine option. 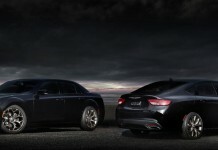 The 200C can be a great car that is certainly worthy of your time and money, but there is zero reason that Chrysler should offer the luxury-tier model with the smaller engine. In short, the four-cylinder engine has no place in the luxury trims of the 200, and you would be a fool to buy one. Get the V6 instead.